If you’re not drooling over the DROID and Android 2.0 right now, you either have a heart of stone or you’ve been living under a rock. Motorola’s come-back device goes on sale November 6 for $199, but you know what the deal is at Verizon retail stores — mail-in rebates. Want to avoid the lines and the MIR? Head to Best Buy between October 29 and November 6 to and pre-order your Droid and you’ll be killing two birds with one stone: you know you’ll have a device with your name on it when it hits stores and you won’t have to wait around for your rebate card in the mail. This looks like a win-win situation to us boys and girls. Thoughts? 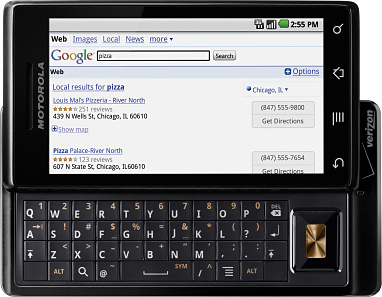 *Make sure to purchase your Motorola Droid accessories. Boy, TomTom sure has chosen the worst possible time to release their Car Kit for iPhone, and to make matters worse, their decision to not include the iPhone app is now set in stone. That's right, the hardware alone will set you back the cost of a TomTom ONE nowadays, and the $99.95 app works on the iPhone 3G and 3GS without it. So here's the question: is the car kit worth the extra $119.95? To find out, we got hold of a review unit for a sunny road trip around London. Surprisingly, the car kit uses Bluetooth to connect the GPS receiver to the iPhone, even though there's a dock connector for charging. Bluetooth connectivity does have its advantages: according to TomTom it can work as a generic Bluetooth GPS receiver for any satellite navigation app on the iPhone, or any smartphones at all for that matter. They even confirmed that the car kit could potentially compensate for the first-generation iPhone's lack of built-in GPS, but since TomTom's app won't run on anything but a 3G or 3GS we'll have to wait and see if that's actually useful. Meanwhile, TomTom is cooking up a compatible app for the original iPhone and the iPod Touch, which could make the car kit more worthwhile. Read on for our hands-on impression and test videos. All credits and information was found by engadget. Being the only people on the planet with a Motorola Droid not under armed guard was one hell of a ride, but come November 6th we’re going to have a lot of company as that’s the day Verizon Wireless will be selling the Motorola Droid. To go for $199.99 on a 2-year deal, the DROID is one hell of a steal considering that its specs include a 3.7″ WVGA capacitive display, sliding QWERTY keypad, 5 megapixel camera with autofocus and dual-LED flash, 720×480 video capture at 24 fps, GPS (the DROID is the first device to feature Google Maps Navigation which provides free turn-by-turn voice navigation), Wi-Fi, Bluetooth, Exchange support, 6.4 hours of talk time and a pre-installed 16GB memory card — all running on top of Android 2.0. Not enough? Yes, ladies and gentlemen: Motorola is back. Hit the jump for the press release and a couple high-res pics. Rumors of the first two Google Android devices coming to Verizon Wireless have been floating around for a few weeks and as you know today Verizon and Motorola made the official Motorola Droid announcement with a release date of 6 November at a competive $199.99 price. 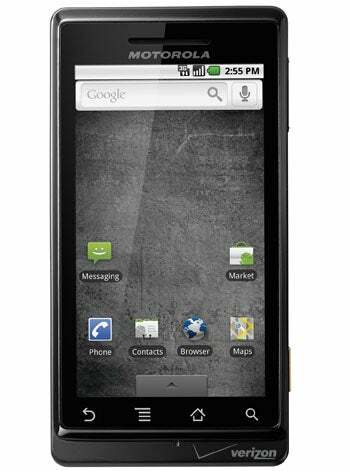 The other rumored Android device is the HTC Droid Eris that Peter from GDGT is stating will launch for just $99. 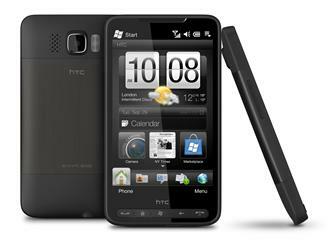 The HTC DROID Eris is the Verizon version of the very appealing HTC Hero and $99 is a killer price for such a functional device. These are both excellent choices on Verizon and it is great to see the price difference that gives consumers a clearer choice between a QWERTY keyboard device with larger form factor or a sleeker all-touchscreen device. 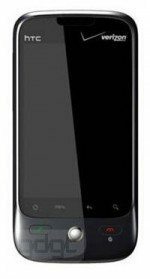 The HTC Eris will also be running Android version 1.5 with HTC’s custom Sense user interface built on top compared to the standard 3-screen Google Android 2.0 software seen on the Motorola DROID. There has been no official announcement for the Eris yet and we do not know when it will launch, but it should be in November so people can get one before the holidays. You may also have heard of the HTC Desire, getting confusing now isn’t it, and to clear it up the HTC Desire IS the HTC Droid Eris. HTC uses codenames for their devices as you can see on the XDA Developers site and Desire was the in-house codename for the HTC Droid Eris as it was named for Verizon Wireless. I wonder if this Eris device was named after the dwarf planet, spider, or Greek goddess of strife and discord. Anyone know the history behind this Google Android device name? As we see more Google Android devices appearing in the Verizon Droid series we will try to help you manage these names too. We were just hit up by a new Verizon connect and it looks like the LG Chocolate Touch is on the horizon. We’re told that retail stores should be receiving stock within the next two weeks, which makes sense since it was featured in Verizon’s Holiday Lineup list. In case you missed the details, the Chocolate Touch will pack a 3.2 megapixel camera, EV-DO Rev. 0 (they couldn’t get with the times and get Rev. A? 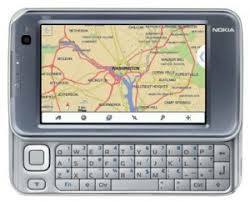 ), Visual Voicemail and VZ Navigator. We’re not sure how we feel about the design, especially with LG offerings like the BL20 and BL40, you’d think this fresh new touch screen wouldn’t look like it was designed in the late 90s. It also looks like it’s packing the same tired OS which will look even more dead once Droid/s hit the scene, but with the right pricing we think this could do well with those who aren’t looking for full-featured smartphones. Hit the jump for a shot of the back. The older your iPhone gets, the worse its battery performs. Don't blame Apple: it's just the nature of rechargeable batteries that they wear out over time. Sadly, you can't just swap in a new one--not without some warranty-voiding surgery. But you can plug in external power, which is cheap, easy, and affordable. For example, Meritline has an 1800mAh iPhone backup battery for $9.99 shipped. That's after applying coupon code MLC262531102717A (which expires Oct. 29) at checkout. The standard iPhone 3G battery has an 1150mAh capacity, meaning this plug-in pack should afford at least 50 percent more runtime all by itself. You can use it for emergency power if your battery's on empty or to recharge your iPhone on the go. And, hey, 10 bucks? Grab a couple. Throw one in the glove box, another in your coat pocket, etc. That way you'll always have backup power when you need it. This battery pack is compatible with all iPhone and iPod Touch models. Keep in mind that because it ships from Hong Kong, it could take a couple weeks to reach your mailbox. All credits and information was found by cnet. Turns out those leaks about a BlackBerry Bluetooth companion watch were dead on: The Allerta InPulse Bluetooth companion watch—not a watchphone—isn't actually a RIM product, and should ship in February for $150. So what does it do? Think of it as an extender for your BlackBerry, or a wrist-mounted dashboard. It won't place calls or compose texts; it's really just there to give you a heads-up and preview whenever your BlackBerry mothership gets a call, receives a message, or has some other, being-a-BlackBerry-related news to share with you. Also, yes, it's a watch, for telling time. It may not do a whole lot, but the hardware sounds nice. Allerta, which totally sounds like a prescription mood drug, says the watch'll last for four days on a single charge, which is respectable considering that it doesn't look too hideously large. 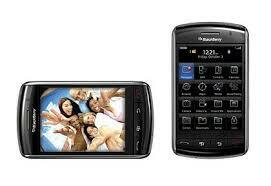 The InPulse will communicate with any BlackBerry running OS 4.3 or above by means of a free companion app. The watch, though, isn't quite as cheap: It'll ship for $150 in February, though it's available for preorder now. Of course nobody expects Motorola and Verizon to be the sole benefactors ofAndroid 2.0's Donut-ey goodness in the long run, but in an age of increasing Android ubiquity it seemed odd to see them as the only ones with a more-or-less-confirmed Android 2.0 handset on the way. Well, Sascha Segan over at Gearlog did some digging and while Samsung wouldn't confirm any Android 2.0 work, HTC was forthcoming in saying that it's had Android 2.0 around for a while, and is working on it for future phones. Perhaps the HTC Desire (dubbed Droid Eris) or the Passion will be one of those phones? It would be odd to see Verizon introduce a 2.0 handset from Motorola and only 1.5 or 1.6 handsets from HTC, but we'll just have to see how it all goes down next month -- Motorola sure seems buddy buddy with Google on this one. But if Dell could track down a copy, we don't see how far behind HTC could be on this one. Apparently the handset has been delayed until November. The good news, as BGR points out, is that the n900 supports T-Mobile 3G. So assuming Project Black means cheap plans, the timing could actually work out well for prospective buyers. Are the iPhone and social networks making the classic Web and intranet obsolete? There’s been an important and relatively sudden change taking place over the last couple of years in the way that we interact with the Web. While direct access or search activity has been (and still is) the most common way that we access the content and applications of the Web, new ways have been rapidly growing and competing with how we work online, both at home and at work. These new models, exemplified by social networking sites like Facebook or mobile apps on platforms like the iPhone, Palm’s new webOS, and Android, seems to be heralding a change in the way that we work with our IT systems in the enterprise. The once relatively unified world of the Internet, with a few major top-level types of access directly connected to it (browser, e-mail, IRC client, newsreader, etc.) and a few key sub-apps such as search that virtually everyone online used have been extended — as well as fragmented — into popular new channels into which user sare now rapidly moving en masse. That’s not to say that direct usage of the Internet (loading up and using sites and apps via the traditional Web browser) is going away. It’s still far and away the most common way to interact with the Web today and will likely be that way for quite some time, if not forever. But real shifts in both online platform alternatives and in the mobile market are beginning to usher in foundational new usage patterns by users. These new channels — of which the latest generation of mobile apps and social networking platforms, which are often tightly integrated with the Web but are not truly one with it, are just the two biggest examples — demonstrate what is probably a generational transformation of the vital border between us and the Internet. And this is the crux of the point: Where the point of user attention and interaction resides and who controls it is one of the most important conversations between us and our “preferred intermediaries”, a fancy term for who we like to work with to get interact with the Web. This in turn has significant implications for enterprise intranets, our often clunky yet essential local “Web” in our organizations. The Mint Studio is an update of the Mint 220 wireless speakers we reviewed last year. Although the two units look almost exactly the same, the Studio fixes the complaints we had from its predecessor, AND it's cheaper. It's good! We had three issues with the first one: wireless interference, the inability to adjust the volume from the computer when using the USB wireless audio dongle, and the price. To start, it's $130, down from $150, and our volume changes on the MacBook Pro transferred directly over the air to volume changes in the player. If you're talking sound quality, the Mint Studio is decent. This is more about the convenience of wireless speakers than having a really great sounding set of speakers. For $130, you get a not-too-shabby set that can also act as an iPod dock. It's definitely better than the speakers you have in your laptop, so that's already an upgrade. Lastly, the wireless interference is reduced by hopping over two channels instead of just one, which should help to curb many problems unless you have a lot of wireless laptops using the same frequency. Also, 802.11n laptops and routers are pretty much de facto since we reviewed the previous Mint, so you shouldn't see any interference if you're using the 5GHz channel for your N traffic. One bonus feature introduced in the Mint Studio is the ability to support three different units from one transmitting laptop. We tested this in our house, with the laptop source and USB transmitter on the first floor, and one unit on each of the three floors. It was able to reach all three floors with zero audible loss, which is pretty great, and within its household operating range (with walls and floors) of 100 feet. And in case there was any confusion, it's not waterproof—we just enjoy planting it on a shelf outside the shower and streaming music while we bathe. It allows us to keep our laptops out of splash distance too. It also still supports line-in and still acts like an iPod/iPhone dock, and works fine in those respects too. With the low price and improved featureset, I think the Mint Studio is a pretty good buy for people who want cheap multi-room audio that can also function as an iPod dock. All credits and information was found by gizmodo. 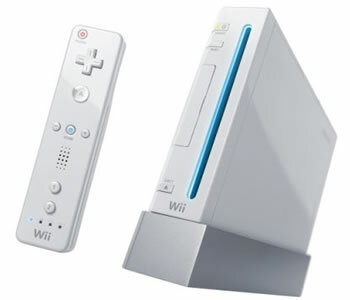 Wii 2 to be smaller and cheaper? If you're expecting bigger and better things from the Wii's successor, you may be let down. Nintendo might be satisfied with what the current Wii is already able to offer. According to TechRadar and Popular Mechanics, the company's creative mastermind Shigeru Miyamoto says, "With both the Wii remote itself and Wii Motion Plus, what we've been able to do is introduce an interface that is both I think appealing and at the right price for a broad audience." Does the "right price" mean the next Wii will go for a comparable price to what it is now? Miyamoto continued: "And while we don't have any concrete plans for what we'll be doing with hardware in the future, what I can say is that, my guess is that because we found this interface to be so interesting, I think it would be likely that we would try to make that same functionality perhaps more compact and perhaps even more cost-efficient." Sure, it's probably too early to forecast what the Wii 2 will offer, but as of now it sounds like Nintendo may not look to offer more of a graphical powerhouse, but instead continue to deliver what has proven to be a winning formula--just in a more compact and inexpensive package. What do you think? Are you content with more of what has seemed to work for Nintendo or do you want a more powerful Wii with functionality like HD graphics? As this spy shot confirms, Blackberry Storm 2 dummy units have started to arrive on Best Buy shelves—and word is that Verizon has received them as well. In other words, the launch is imminent. How iminient? Well, If you believe earlier reports, there is a good chance that the launch could take place as early as October 25th. The Droid's shaping up to be a beast of an Android phone -- well played, Verizon -- but Motorola's banking much of its future on its MOTOBLUR platform, which the Droid curiously lacks (though Android 2.0 adds at least some of BLUR's functionality back in). Don't worry, though -- Verizon hasn't forgotten about BLUR altogether, and the rumored Calgary is looking to arrive as the carrier's next Android phone from Moto featuring BLUR in all its social network-aggregating glory. It's clearly positioned as a lower-end device than the Droid, stepping down to a 3 megapixel cam but still managing nifty features like an optical pad, 3.5mm jack, and naturally, a full QWERTY keyboard. Considering Rubin's ties to Danger, you could think of this as the ill-fated Sidekick Slide all grow'd up. Word has it this might hit before the end of the year, so we'll see just how much breathing room Verizon and Moto feel like giving the Droid before coming back for Round 2, eh? Now that Apple is thoroughly touting the headphone remote capability of its various iPods, third-party headphone manufacturers are scrambling to provide products with integrated playback controls. One solution we've seen is the in-line remote cable attachment that can connect to any set of headphones, thereby letting you simply update your favorite pair. Of course, if you need to upgrade from Apple's stock earbuds anyway, picking up a brand new model with the controls (and mic, if applicable) built-in makes more sense. There isn't a huge variety to choose from right now, but we managed to round up four sets of earphones that offer the feature. Nokia's 5230 isn't apt to blow any minds with the likes of the HD2, Droid and XPERIA X3 on the horizon, but for those perfectly content with a touchscreen-based Symbian S60 5th Edition handset, this one sure looks purty. After dipping its toes in the FCC's expansive database just last month, a crop of new in the wild shots have surfaced to show off its 3.2-inch display (640 x 360), 2 megapixel camera, Bluetooth 2.0+EDR module and variety of colorful backs. Hit the read link for more pixels if you're so inclined, and feel free to take the "January 2010" release date in with a dose of NaCl. One of Apple's many curious restrictions on iPhone apps has now been lifted. It used to be that, in order for developers to have microtransactions / in-app purchases, they had to charge something upfront for the software, essentially requiring consumers to pay at least twice, or not at all. Well, all that's changed, as the company has sent word to its developer community that the restriction has been lifted, meaning those annoying "Lite" and "Full" versions cluttering the app store can now be one and the same, with folks downloading the demo and paying to upgrade from within the app itself, a model that's worked to success in other software ecosystems like Xbox Live. Sure, there's gonna be developers out there that abuse the newly-minted business model, but it's not like anything was stopping them before when they charged $2 upfront only to get you again later. The mass email announcement is reprinted after the break. Is Uncharted 2 enough to put the PS3 on top? Uncharted 2 has received unanimous critical acclaim for its immersive story, fantastic visuals, and cinematic presentation. But is the title enough to put Sony back on top? The answer isn't necessarily cut and dry. There's a lot more Sony needs to accomplish for the PlayStation 3 to finish first in the current-generation console war. If there's one thing that has mostly been overlooked by the mainstream video game media, it's the fact that the slimming down of the PS3 was more than just a price drop. Symbolically speaking, the PS3 Slim was a complete rebranding for the console, forcing consumers to detach themselves from the negatives that the original bulky and expensive PS3 was associated with. Sony even changed the console's logo from the Spider-Man font to the much more whimsical, airy design emblazoned on the slim and all-current game box art. PS3 commercials have also gotten a much-needed facelift, and we think the latest Uncharted 2 ad is actually quite brilliant. Sony's PS3 underwent a radical rebranding and price cut, both of which have convinced some analysts that it will have been the best-selling hardware in September. But systems also need games, and exclusive ones at that, to sell themselves. Uncharted found success as a sleeper hit in its first iteration, and in just two years it's been propelled to system-seller status. It achieves where other Sony franchises on the PS3 have failed; it allows you to "live a movie," so to speak--making the most of what Sony does best and maximizing the mass entertainment storytelling appeal of videogames. 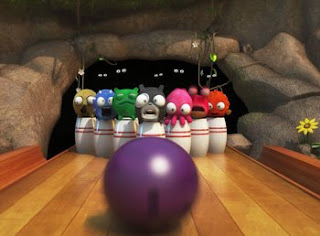 Like Sony's commercial boasts, this is a game others will want to watch you play. On the other hand, Uncharted is a genre game, a platform-adventurer that's not kid-friendly. LittleBigPlanet is a tent pole family game for the PS3, but it launched a year ago. It's important to keep in mind Sony's library as a selling point for the PS3, and LittleBigPlanet does have a long shelf life due to its unique and somewhat timeless design, but Sony could have done with two or three more games on the order of magnitude of Uncharted 2 this holiday--a new Ratchet & Clank doesn't quite cut it. If Sony wants to treat the PS3 Slim with the excitement of a new system launch, enough games need to come out to overtake the Xbox 360 and Nintendo Wii. Instead of outperforming, Sony is still playing catch-up. Right now, it's only matching punch for punch with Halo 3: ODST and New Super Mario Bros. Wii. That's close, but we're not sure it's enough to push Sony over the top. 9to5Mac hears that the iPhone and iPod Touch are getting a radio app like the nano's that'll be able play FM radio in the background. It'll be integrated with the iTunes store, supposedly, so you can buy songs you like. 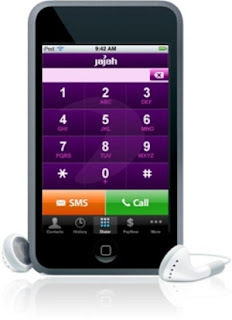 The hardware capability for FM radio does exists in some models—the current iPod Touch and iPhone 3GS have FM transmitters, and the 2nd-gen iPod touch also has a chip that's capable of receiving FM signals, though it uses it for Nike+ stuff (so if there is a radio app, maybe it'll just be for current-gen models). It'd make sense to add more software parity across the line, but who knows—no date given for when we might actually see this FM radio app. iPhone OS hacker, GeoHot, released Blackrain this weekend, a new jailbreak utility for iPhone OS 3.1.2. The new Windows-only utility follows on the heels of Purplerain and you can download it now. Windows users can use it to jailbreak iPhone OS 3.1.2 on all iPhone and iPod Touch models regardless of their hardware generation. Using the application is simple. You just plug in your iPhone or iPod Touch using the standard USB sync cable and follow the instructions below. BlackRa1n does not unlock your iPhone so that it can be used with another carrier. If you have already updated to 3.1 or higher and you did not use PwangeTool to upgrade from an earlier iPhone OS version, then you will not be able to unlock your iPhone until PwangeTool is updated. iPod Touch third-generation users take heed--Blackra1n only supports a tethered jailbreak. If your battery is depleted after the hack, then you will have to reconnect your iPod Touch to a computer and use the Blackra1n utility to reboot it. Updated on October 12, 2008 at 7:29 a.m. PDT: Comments from mohabitar and eisenhower18.03 indicate that installing Cydia and Icy at the same time is not recommended. Standard disclaimers apply. Please read your contract terms of service carefully before proceeding to ensure that you are not breaking your iPhone carrier agreement or warranty. Also, while these methods have worked for most people, we cannot guarantee that they will work for you, and you must make these modifications at your own risk. If you do not feel comfortable making these modifications to your phone, we urge you not to try to make them. 1. Launch iTunes and check to ensure that you are running version 9.0.1. If you are not, then update your iTunes before proceeding and reboot your PC. 2. Install Blackra1n and reboot your PC. 3. If you haven't already plugged your iPhone or iPod Touch into your computer, connect it now with the USB sync cable. 4. Launch Blackra1n and click on the button "make it ra1n." 5. Your iPhone or iPod Touch will go into recovery mode. A picture of GeoHot will replace the standard recovery mode image on your device. 6. Blackra1n will execute and perform the jailbreak on your device and the device will be rebooted. 7. An opportunity will present itself for you to make a donation to GeoHot. 8. Once your device has rebooted, a new icon--Blackra1n--will appear on the Springboard. You now need to confirm that your device can connect to the Internet. 9. Launch Blackra1n on your device. 10. You can now choose to install one or more of your favorite installer apps: Cydia, Rock, or Icy. (Note: my personal favorites are Cydia and Icy.) Blackra1n will download and install your selections, the Springboard will be restarted, and your installed installer app icons will appear. 11. After you have confirmed that your selected installer app is working, you can then optionally uninstall Blackra1n by launching it and tapping the button labeled "Uninstall blackra1n." 12. Reboot your device my pressing and holding sleep/wake and home until the Apple logo appears. You're now done! We've already seen (and written) plenty on the HD2, and we've enjoyed our initial experiences with the device -- but now someone has finally sized up the massive, Windows Mobile 6.5 smartphone with its touchscreen contemporaries... and the differences are downright shocking. Just take a look at this beast next to Apple's iPod touch (above) or the company's own Hero -- the displays on the older devices seem dwarfed by the HD2's 4.3-inch, 800 x 480 WVGA screen. There are lots of other revealing pictures in the writeup, but it's the side-by-side shots that seem most telling to us -- this is certainly the direction we're headed in for mobile devices. Hit the read link and take a full look for yourself. If the $50 price drop on the Nintendo Wii was enough to make you pull the trigger, we definitely recommend checking out a few accessories for the console. Sure, not all of them are necessary, but we think most of them will improve your overall experience with the Wii. The first pair of accessories you'll probably want to invest in is another Wii remote ($35) and nunchuk ($20) attachment. The Wii only ships with one set and if you plan on playing with more than one person, you're going to need these. While the nunchuk doesn't require batteries, the remotes do. Replacing their AA batteries can become expensive so we highly recommend picking up one of our favorite chargers, the Nyko Charge Station (in either two- or four-capacity models). While the Wii can be hooked up to your television right out of the box, we definitely think you should consider upgrading the AV wires that ship with the console, especially if you have an HDTV. The Nintendo Wii Component Cable ($30) will give you a better picture and allow for 480p output. Now that we've taken care of the basics, it's time to look at a few nonessential items for the Wii. While you don't need any plastic attachments for the system, the Wii Zapper ($20) is the cheapest plastic add-on around and it comes with a great shooting game (Link's Crossbow Training) to practice with. Nintendo recently introduced Wii Motion Plus ($20), a small device that attaches to the bottom of a Wii remote and improves overall accuracy and performance of motion control. While there aren't many games that take advantage of it, there are some that do require it (Wii Sports Resprt, Red Steel 2). Don't forget, you'll need one unit for each Wii remote control you have. Finally, if you're serious about retro gaming, you may want to consider purchasing the Nyko Wing Wireless Classic Controller ($30). The Wii gives you access to a huge library of old school games via the Virtual Console and the Wing controller is the best way to play these older games. The included Wii remote will only work with some of the games, but the Wing's compatibility runs across the board. For an easy to read, side-by-side breakdown of these accessories, check our must-have Nintendo Wii accessory roundup. Samsung Moment for Sprint first hands-on! We're not sure that the keyboard meets the lofty standard set by the CLIQ / DEXT, but arguably the Moment's single most important feature -- the slide-out QWERTY keyboard -- has decent feel. It's very clicky and requires a surprising amount of pressure to actuate individual keys, but not enough to be frustrating -- it just feels solid. Overall, the phone's a little bulky and has a plastic overtone to it, but fortunately, the screen's at least as good as the G1 and Magic for feel and there's no "give" to speak of; OLED's gorgeous (as always) indoors, but the true test of trying to view this thing in the sunlight might not come until we've had a chance to take delivery of a review unit. The software's essentially stock Android with a few Sprint apps (including Sprint TV) peppered in for good measure. Check out our hands-on gallery, won't you? You've already got individual ringtones set up for your boss, your spouse, and other important people. MailTones brings that same concept to e-mail, playing custom sounds when you receive messages from those certain special senders. Using the $2.99 app [iTunes link] requires two things: That your iPhone is configured for push e-mail (fetched automatically, not manually) and that your e-mail server has the option of forwarding copies of new messages to another address. Gmail, for example, makes this a snap, as does MobileMe. As for other services and servers, well, you'll have to find out if forwarding is an option. If not, this isn't the app for you. With that single step completed, however, all that remains is to configure MailTones' alerts, which offer three options. Subject Matching sounds an alert when the subject line contains one or more keywords. And Domain Matching targets mail from specific domains (like, say, the office). For each match you set up, you can choose from 25 available tones, which range from short, simple "dingtones" (my word) to boisterous cowbells, ship horns, and fire sirens. Suffice it to say, most people get a lot more e-mail than they do phone calls, and it's easy to experience alert overload. Consequently, you'll almost certainly want to set the New Mail tone to "Ignore" so you don't get interrupted every 10 seconds. At the same time, turn on Show Alerts, which provides a text message-like pop-up (with the sender's name and subject line) along with the audio alert. That way you'll know if the message is important enough to warrant a full-on visit to Mail. MailTones is an idea whose time has come. If you're tired of pulling out your iPhone every five minutes to see if that new message is something important, now you've got an audio-cue alternative. Indeed, for anyone inundated by e-mail, MailTones is $2.99 well spent. The upcoming HTC Tattoo is HTC's first Android smartphones which comes with the recently released Android version 1.6 (Donut) preinstalled. Donut adds a lot of new benefits and features to the Android platform but HTC also adds its newHTC Sense UI, the company introduced with the launch of the HTC Hero. The HTC Tattoo features the new Android 1.6 quick search box as well as the new battery usage indicator, the new Android Market, VPN, 802.1x and the new text-to-speech engine but not new camera and camcorder UI and gallery because these were replaced with HTC applications. HTC Sense on the other hand greatly improves the whole homescreen usability by offering a fully customizable and widget-based user interface. For instance HTC Sense can push content like Twitter, weather and other content to the surface while others may want quick access to business-focused information like E-Mail, calendar and world-times. Furthermore, HTC Sense features a Windows Mobile-like smart dialer interface for making calls quicker. Like all other Android smartphones from HTC, the HTC Tattoo also features all Google services like Google Maps, YouTube and calendar and contacts synchronization with Gmail. The combination of the device size and design, Android 1.6 and HTC Sense makes the HTC Tattoo an interesting budget and mass-market Android smartphone. It offers an easy to use entry-point for smartphone and Android novices as well as enough features and flexibility for professionals. All credits and information was found by theunwired. It's official: the floodgates have opened. October brings us some of the year's most anticipated titles, including the sequel to the PlayStation 3 exclusive smash hit, Uncharted. Jack Black lends his voice in Brutal Legend, the next game from acclaimed director Tim Schafer (Psychonauts, Grim Fandango). There's more from Hollywood this month as the "SAW" horror franchise gets its first video game adaptation. Sports fans will be able to play in next year's Winter Games with the help of Mario & Sonic; soccer fans can kick off with FIFA Soccer 10; and both NBA games will tip off October 6. Xbox 360 finds two exclusives in Forza Motorsport 3 and GTA IV: The Ballad of Gay Tony, while Uncharted 2 and the new Ratchet & Clank game round out the PS3's offerings. Owners of portable systems are in luck, too, as GTA: Chinatown Wars gets a PSP version and Drawn to Life revisits the Nintendo DS. Make sure to check out the rest of our top video game picks for this month in our slideshow. What games are you looking forward to in October?